The summer vacation is over, Chhavi has just gone back to school. This was the most fun summer vacation we ever had. We both played tennis, we did the quick trip to Thailand and of course we ended up studying as well. My child will never know the joy of playing non stop for two months, like we did, back in the days when there was no holiday homework! But such is life. Traveling with my daughter is so much fun though! While Chhavi played tennis and I would wait for my turn, I often ended up discussing summer vacation plans with other moms. I have never understood the logic- if we do not take our kids abroad what will they go back and tell in the school? I have been travelling abroad since 2014 with Vasudha and Chhavi also known as double trouble. That was the year when Chhavi got her passport but I don’t think she has any inclination to go back and brag in her school. That has never been our motivation for travelling. This year I heard a new variation of the theme- my children refuse to go anywhere which is not exclusively meant for kids. 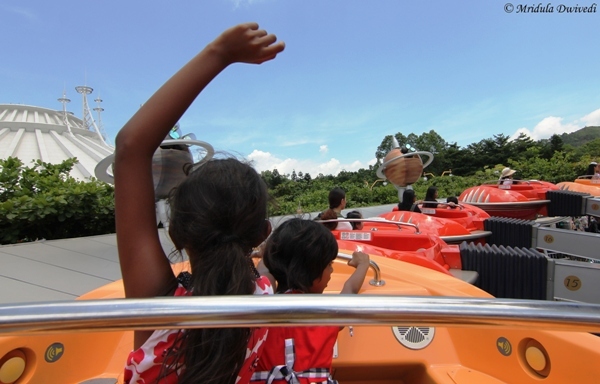 The first time Chhavi, Vasudha and I traveled abroad it was to Hongkong and primarily Disneyland. But since then the kids have been to Prague with me. And this year Chhavi and I went to Thailand, we visited Koh Samui. 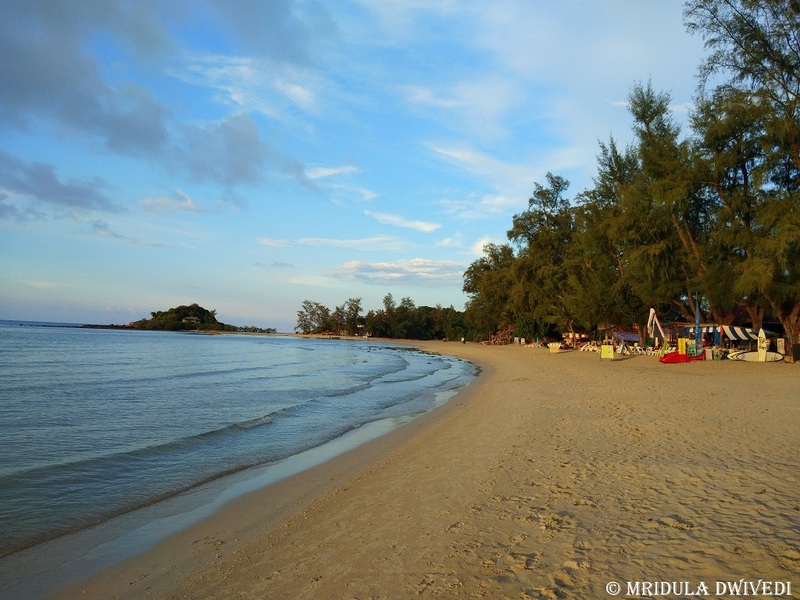 A a lot of people told me that Samui is a quiet place and the kid would not like it. I am happy to say that Chhavi can entertain herself for hours on a beach and in the swimming pool. I had plans of taking her on a speed boat ride but I was a little hesitant. Those trips are long and the sun is hot. She took the matter out of our hands. She refused to go anywhere. She was happy to stay at the resort. After breakfast we would go look for water. She would jump in the pool, then get out and go jump in the sea only to be back and jump in the pool again. This is what she more or less did for the entire vacation. She also enjoyed the Jacuzzi in our room at the Royal Muang Samui Villas. She refused to go out anywhere other than to the street outside to have a few of our meals. There were open air massage shacks which we both enjoyed. She went on a jet ski ride too. All this was available right by our beach, the beautiful Choeng Mon Beach. 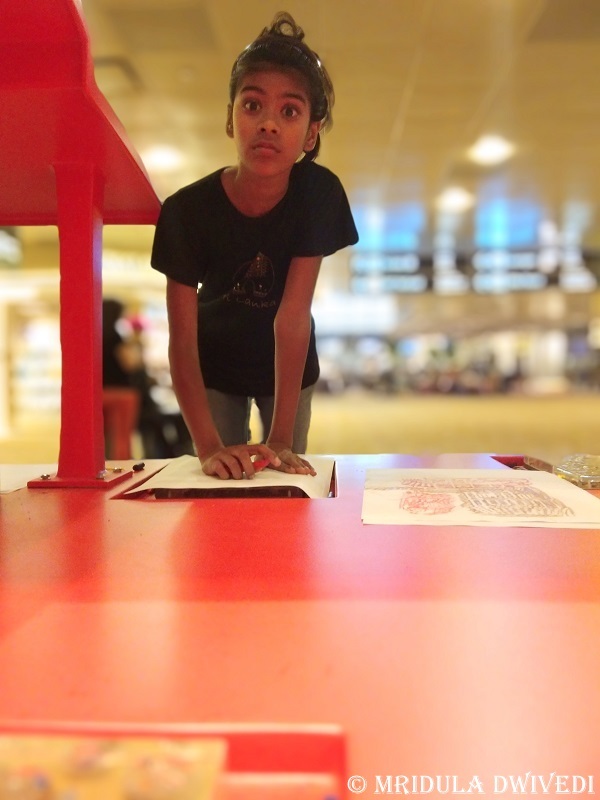 I firmly believe that kids can enjoy any destination as long as we are a little creative, listen to them and give them the freedom to voice their opinions. 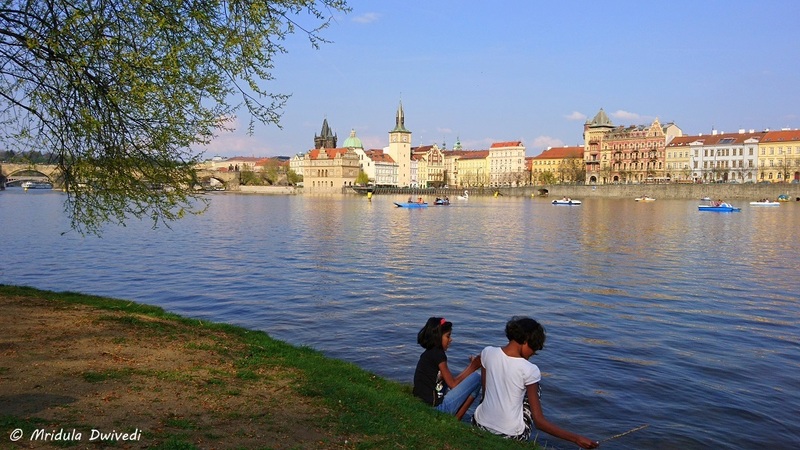 For example when we were in Prague, I realized that the kids like to go to open parks once in the day. They would race me to the top a Castle, visit a church, sit down quietly for a meal in the afternoon but by the evening they would nudge me towards either Kampa or Lanta Park where they could run around, walk or just make a silly game to play. While we were flying back from Koh Samui I read an article in the in the Silkwinds, the magazine of Silk Air which precisely voice my opinions but in a better way. The authors in their story, Have Kids Will Travel, mention that they took their 2 year old to Angkor Wat. And the kid loved visiting Mr Buddha’s house! You can read the article and the may issue here. As a parent I feel we already protect our kids too much. I do not want to make their vacations a complete bubble wrap. Until I read the article I always felt unsure when people said their kids refuse to travel if they are not taken to a theme park or a water park or something similar. But when I read that article at 32 thousand feet I exactly understood what I felt. So if a two year old can enjoy visiting Mr. Buddha’s House, what is wrong in enjoying a beach or a swimming pool? One can just explore a new place and realize that the world is beautiful. As they say in Thailand, we in the end are same same but different! 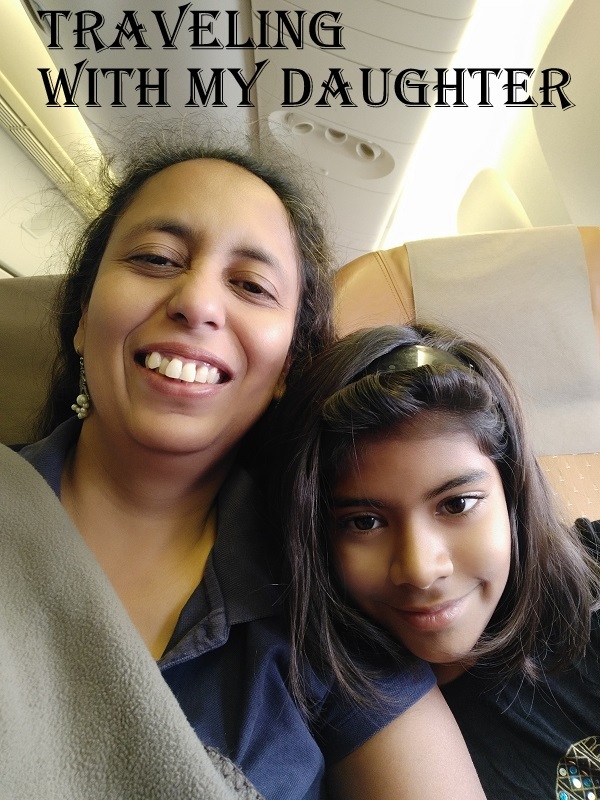 Chhavi and I had the pleasure to go for a staycation (on invitation) to Pullman Aerocity New Delhi for one night. 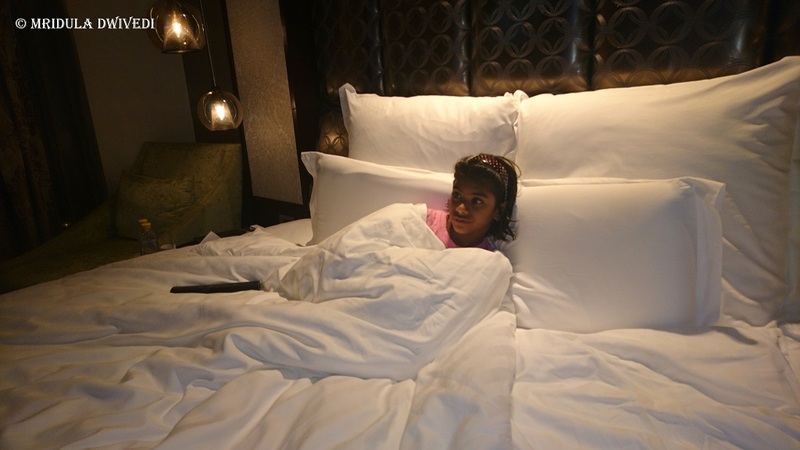 After a while she told me, “this is the most stylish hotel I have come across!” I am always happy to spend time with the kid on holidays and staycations as she is a lot of fun. 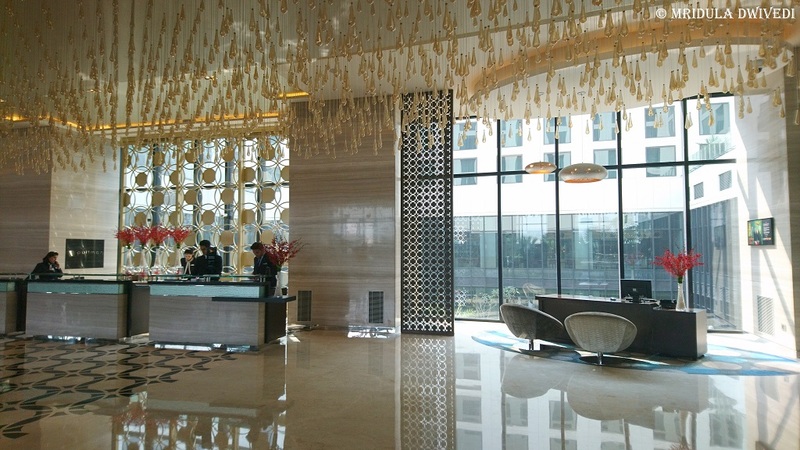 Pullman is located in Aerocity and is a good place for your rest and rejuvenation. The check in was a breeze for us, we went to the reception and after the usual formalities, we were on our way to the suite we were staying in. 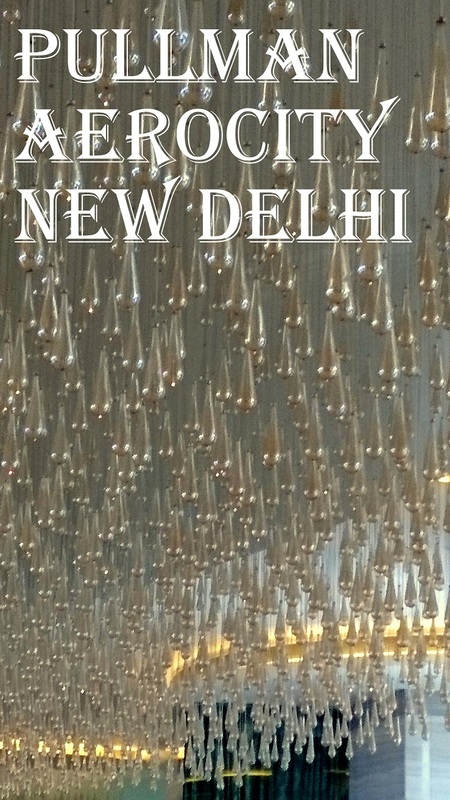 But before we went, Chhavi was quite taken in with the lights at the lobby. They reminded me of Changi a little. We had a beautiful suite with a huge living area and a comfortable bedroom. 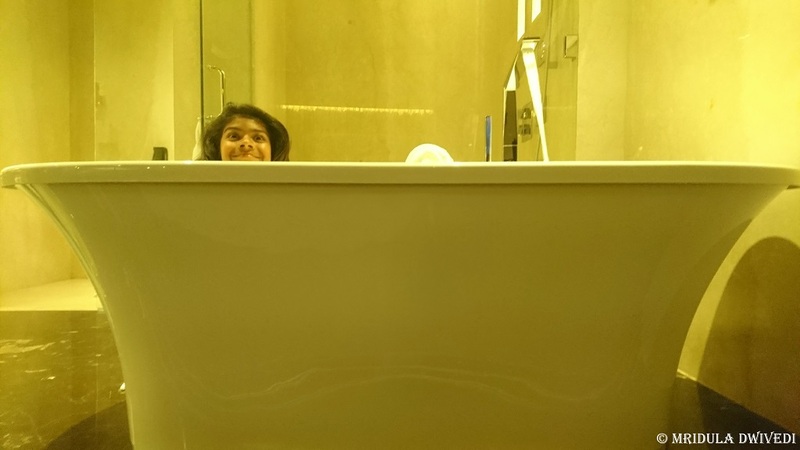 But the highlight for Chhavi was the large bath tub. If she could have it her way, she would live for half a day just inside the tub! 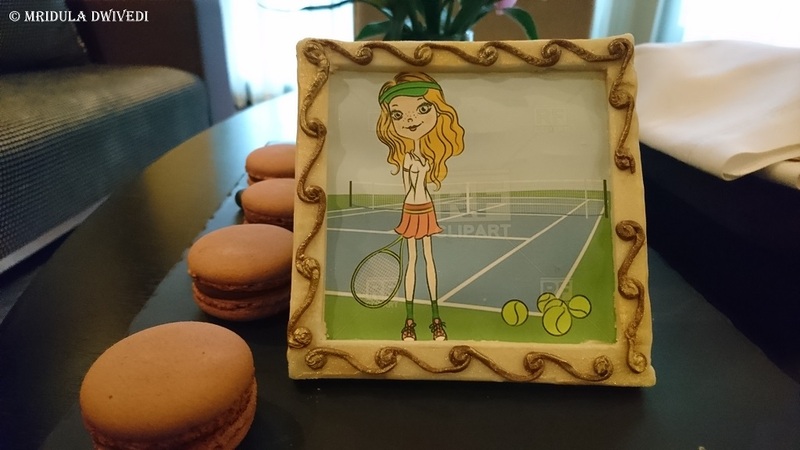 She also loved the fact that there was a tennis featured chocolate waiting specially for her in the room! She has started playing tennis regularly and it delighted her immensely that the people at the hotel knew about it. A lot of credit to the hotel staff who went through my Instagram highlights and figured that out! It was special for me too. We had a comfortable sleep in the room. From the bedroom I could see part of the airport but the soundproofing is good, I could barely ever hear the planes! 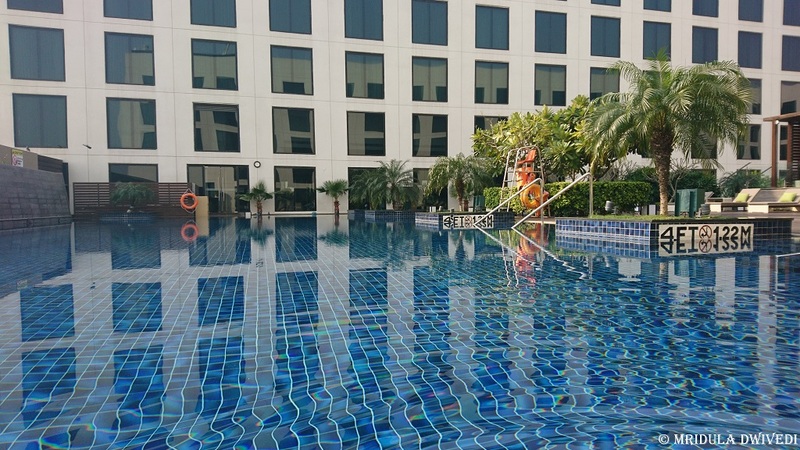 There is a swimming pool within the hotel but we could not use it as it was too cold in February! But we would surely like to go back and enjoy the pool. There are many dining options at the Pullman. Our favorite was Honk Asian Restaurant where I ordered Phad Thai. We had Sushi and Dim sums before it. Chhavi thoroughly enjoyed her drink at the restaurant. 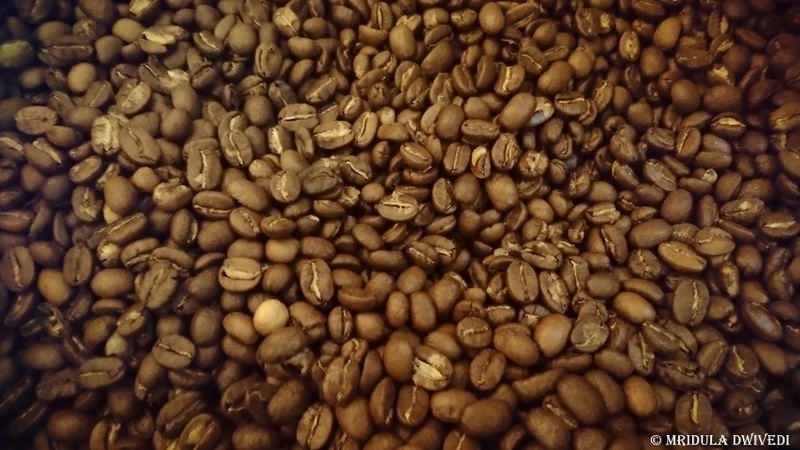 We also enjoyed a coffee roasting session at Café Pluck and later enjoyed a cup of coffee too! The breakfast was served at Pluck the restaurant and we had one lunch there too! 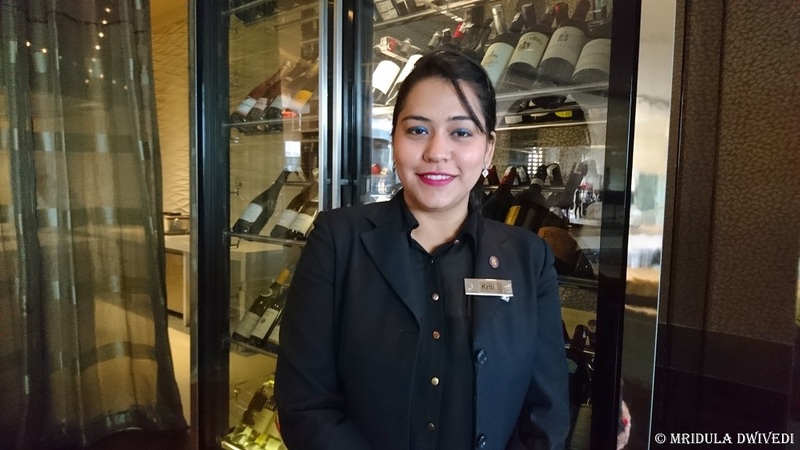 However, my most distinctive experience came at Pling with Kriti the master sommelier. Wine is something that doesn’t make much sense to me with each name vying to be more unpronounceable than the other! To me almost all wines taste good! So, I was not too sure what to expect in the wine tasting session with her. But she put me at ease from the word go and I actually enjoyed my session. We went into great length about why we swirl the glass of wine, to why we sniff it and where does the aroma in the wine comes from! I had a great time. 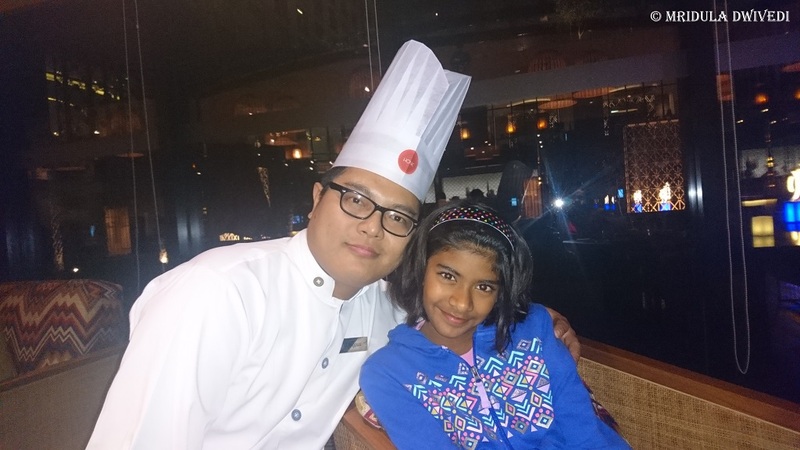 It was great meeting my student Paramjeet at Pullman. He works nearby and dropped in to chat with Chhavi and me. It is always great catching up with my students! The seem to be more impressed with my travels rather than my teaching! 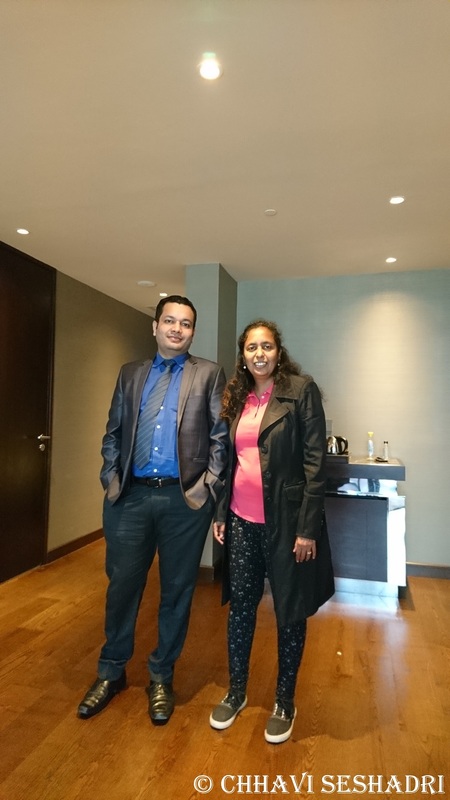 Overall Chhavi and I had a great time at Pullman New Delhi Aerocity Hotel! 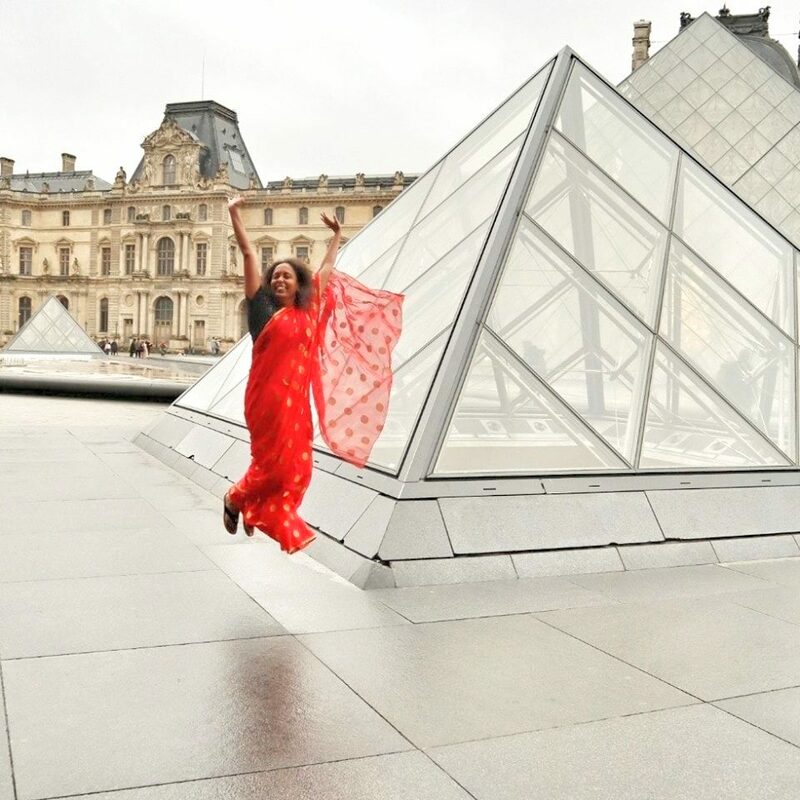 For Chhavi it is the most stylish hotel she has visited! I also realized that she has crossed that age when I used to be petrified she will break something when we went out! Kids grow up fast and they grow up only once! I should remember this more often and travel more with her! PS. Chhavi and I were invited by the hotel to stay with them!